This week, and for the month, I have been working on my Lady of Lake Erie project. This is my UFO from August, have not even started September, except for the pieces that Sandi cut for me! Here is Bonnie Hunter's Version in Blues. 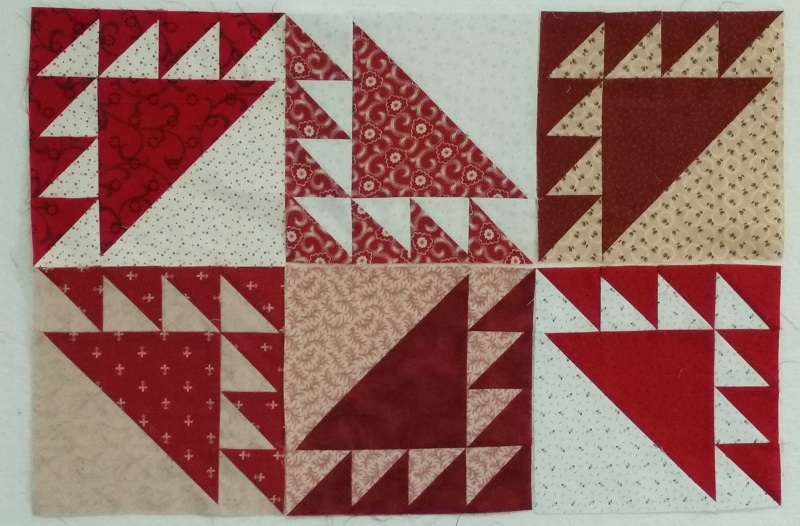 I have about another 20 blocks to complete and then will be putting borders together. I am making it queen size for my mom, so there are 100 of these blocks. They are going together pretty fast, so hope to complete them today, and get the rest of quilt finished by end of the week. Hope your September was more productive than mine! 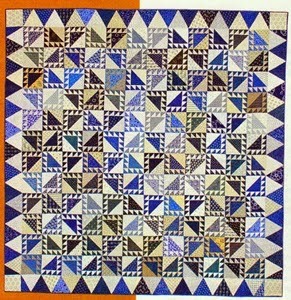 Check out more inspiring projects at Patchwork Times. That's a pretty quilt design! Best of luck getting those blocks finished out!